The new Aventador S Roadster is for people who enjoy the wind in their hair and unfiltered engine noise. Once the roof-panels are removed it can be stored in the trunk up front. The roofless Aventador S has all the same improvements gifted to the coupe when it was updated last year. Four-wheel steering, real-time variable damping and new rear springs for the pushrod suspension have been fitted, while reworked software for the stability control to help with more precise management for the amount of grunt being sent to the wheels. As you'd expect of a car like this, there are options aplenty for the interior and exterior trim. The example you see here is finished in a custom shade of Blu Aegir, offset with lashings of carbon fibre and pale-trimmed interior. Thanks to the Lamborghini Ad Personam program, essentially any colour and material combination is possible, provided you have the time and money to make it happen. 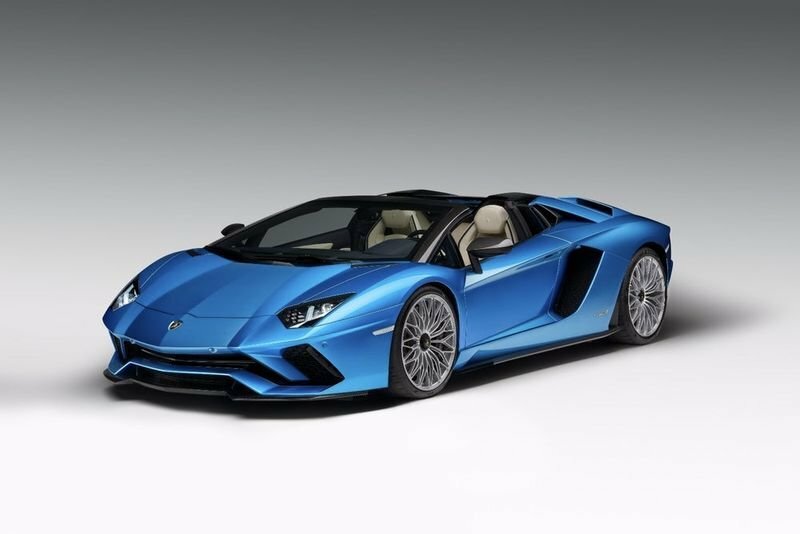 The Aventador S Roadster will cost US$460,250 when it arrives in February 2018. It isn't cheap, but you can't put a price on drama, and the Lamborghini Aventaro S Roadster has no shortage of that.